With the advent of modern televisions and projectors, the picture quality that you can experience in the comfort of your home is higher than it is when you go to the theater. 4K TVs have brought an almost unbelievable level of definition and clarity right into our homes. If you want to fully take advantage of this new technology, contact Harmonic Series, Inc. in Fort Collins today. We install home theaters and sound systems across Northern Colorado and Wyoming. Many people are curious about how big their TV should be. 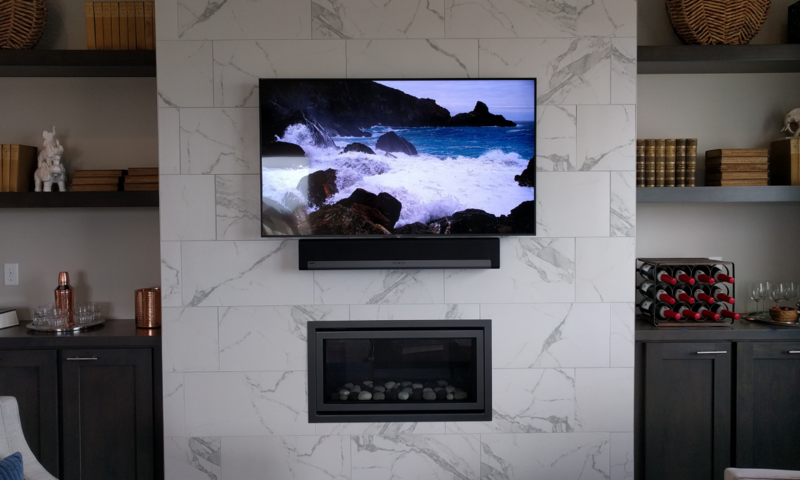 With a few measurements, our team can help determine which TV or projector will best suit the needs of your home and fit perfectly within your room of choice. 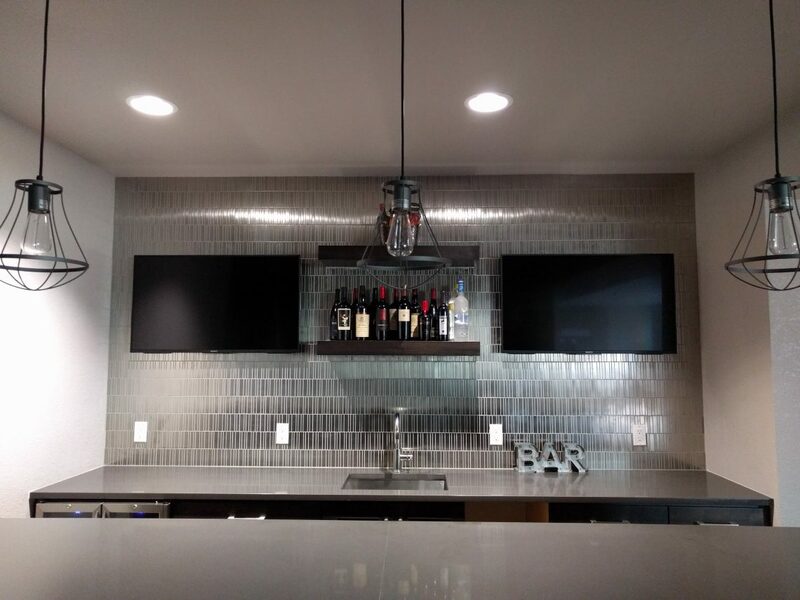 If you don’t want your set to be visible when you aren’t using it, we can disguise it as a mirror when not in use or hide it behind a moving panel on your wall. With the right wiring, we can also feed every cable box, Apple TV, Roku, or any other video source, to your TV remotely. These sources can then be fed either directly to a single TV or, if you choose, to any number of TVs spread throughout your home. More times than not, you simply want your 4K TV in the perfect location without spare wires hanging around. At Harmonic Series, we specialize in customizing your TV setup in a way that is clean and precise. 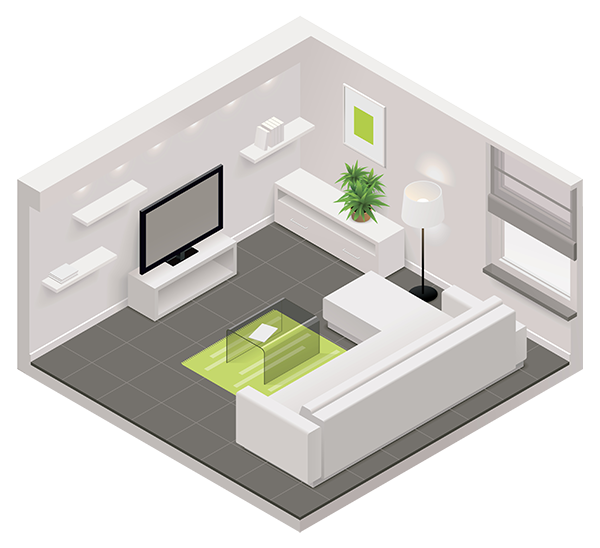 For certain rooms, you may prefer to have the TV pulled away from the wall, angled, or maybe even placed sideways. We offer both automated and manual TV installation services in addition to our setup and wiring services. Contact us today to learn more about how we can optimize your home TV setup.